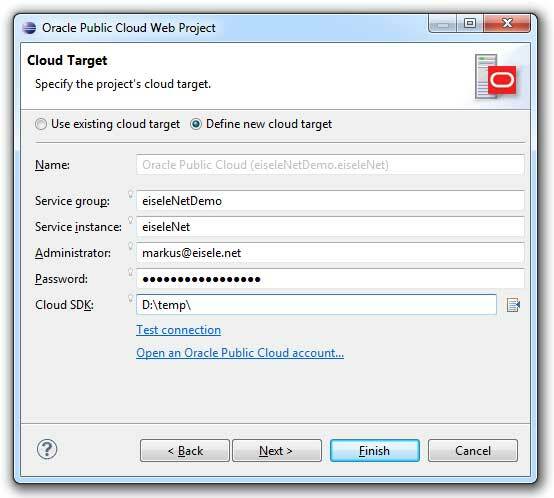 The new Oracle Enterprise Pack for Eclipse 11gR1 (11.1.1.8) aka OEPE was released and beside some very fancy and exciting new ADF features (Task Flows and Libraries) and updated Coherence integration you also find a little remark about the "Oracle Public Cloud Tools" (refer to OEPE release notes). WOW! That is exactly what I was waiting for! Here we go. I tried to give it a very brief test drive. As expected it was not meant to be test driven at this point. It seems as if you "could" but you are missing a bunch of stuff, so I needed to trick around a lot to at least show you a bit of what will be possible. 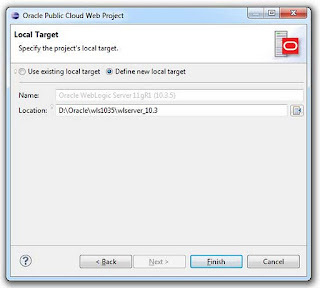 First step is to create a new "Oracle Public Cloud Web Project". Not a single word about Ear projects or other artifacts. This still seems very introductory and opens a lot of questions. But I was not going to wonder about this today and simply start over with what is there. 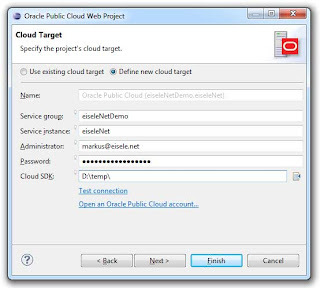 After you have chosen the right project type you have to configure your cloud target. 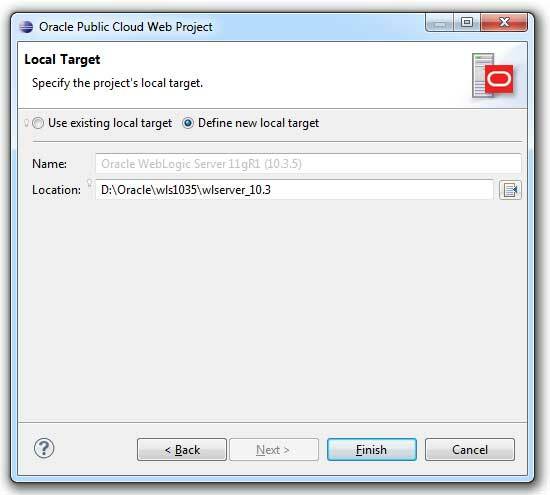 This is done by specifying the a new or reusing an existing cloud target. Beside the service group and instance you have to specify an administrator and his password. Last and most problematic the wizard is asking for a "Cloud SDK". 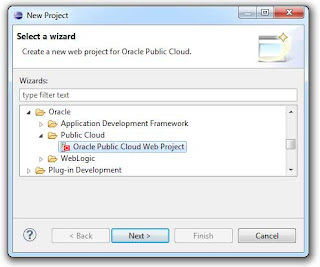 As you might imagine, this is not part of the OEPE distribution at this point so I had to trick around and create a couple of fancy named files (javacloud.jar, oracle.cloud.paas.api.jar and whitelist.jar) to make the wizard believe I have what he needs. Is it worth mentioning, that the "Test connection" facility will not work with this setup? ;) But it's there. You can also directly jump to open up your (trial?) account on http://cloud.oracle.com. Next you need to specify a local target. It's most likely a simple WLS installation you have to refer to. So I took what I have and pointed the wizard to my 11gR1 (10.3.5) install for that. I did somehow expect to be able to select a target domain with this dialog, too. But it was not asking for that. Some other weird stuff happened, and I am not sure if it is meant to work like this for the final version what probably will be out in the next OEPE (11.1.1.9 ?). 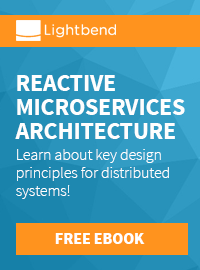 You can access the control panel of your cloud in the same way as you can directly jump to online log viewers for your application and the java service. This is integrated with the server panel and you can simply "open" the dialog. It will also be possible to test your applications before deployment with integrated whitelist scans. The whitelist tool can be called explicitly on a project (on demand scans to highlight coding violations). 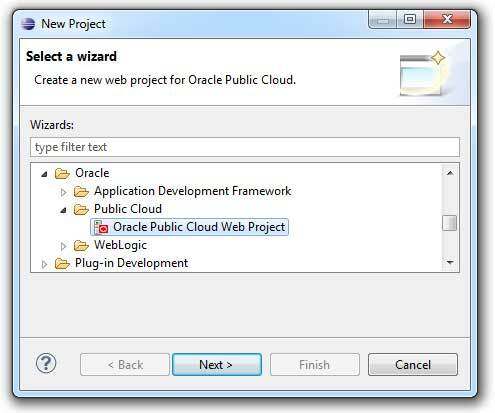 If configured with the full Cloud SDK correctly it will also support as-you-type validation, project build validation. You will see that the errors are reported in application source, the Problems view, and a new Whitelist violations view.